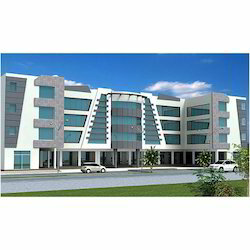 We are a leading Service Provider of building front 3d design and elevation work from Delhi, India. Being a client-centric organization, we are engaged in offering Building Front 3D Design and Elevation Work. Our services are highly demanded their aesthetic appeal, sophisticated look, and efficient space utilization. These designing services are provided in compliance with industrial standards based on the specifications furnished by the clients. Our clients can take this service from us at the very reasonable price.